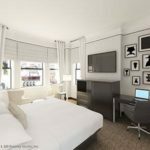 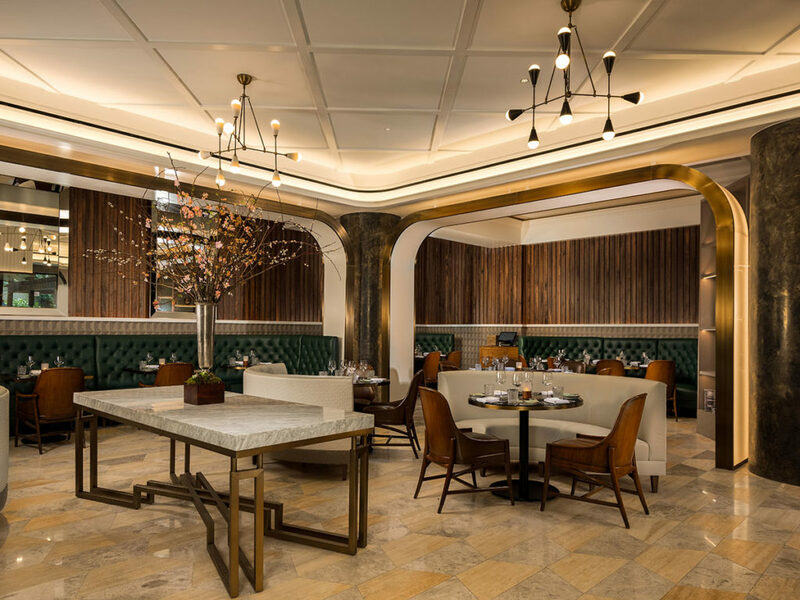 Current hotel design is rooted in the history and personality of the property’s locale—so when a hotel is located in an area rich with inspiration, the possibilities are endless for the design team. 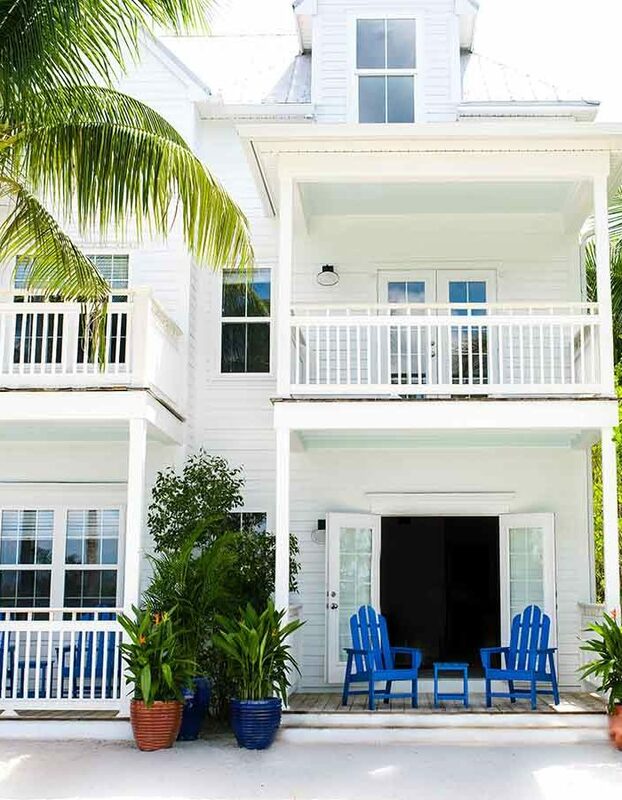 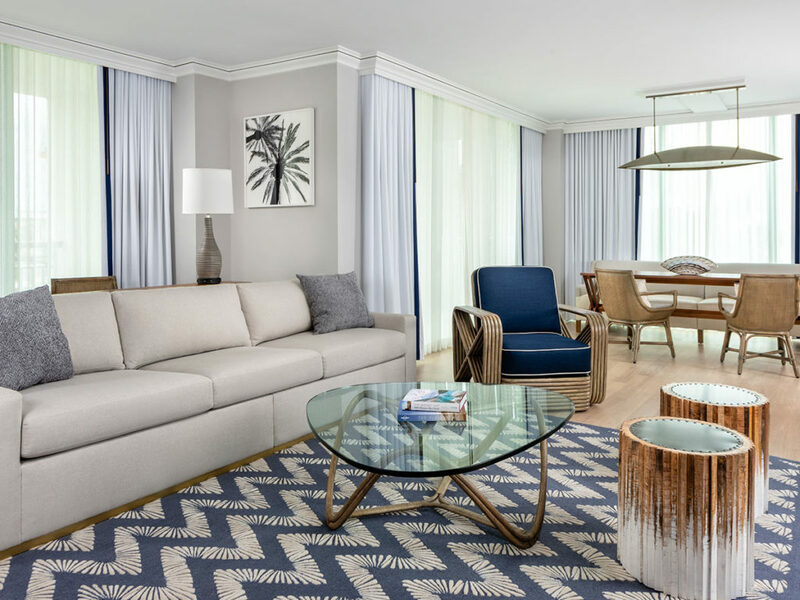 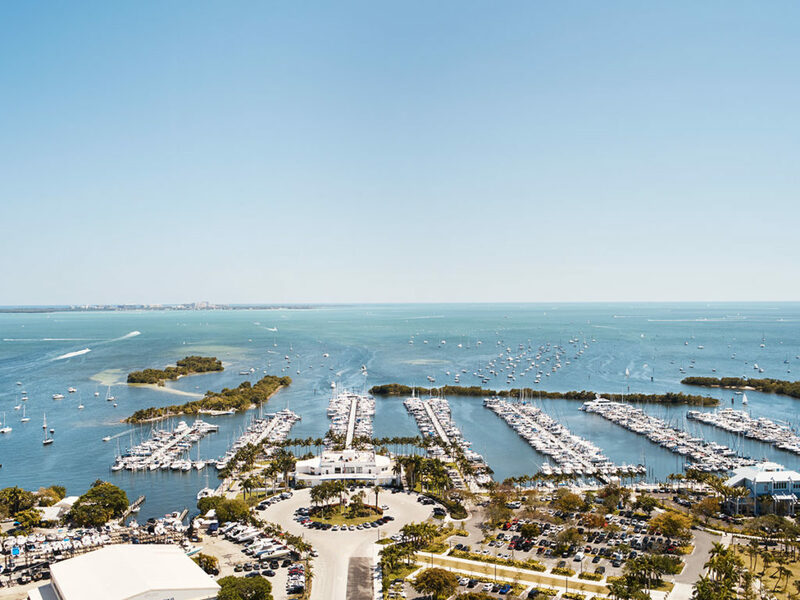 The Ritz-Carlton Coconut Grove, Miami recently unveiled a yearlong redesign—and its new look and feel draws upon the independent and artistic spirit of the area. 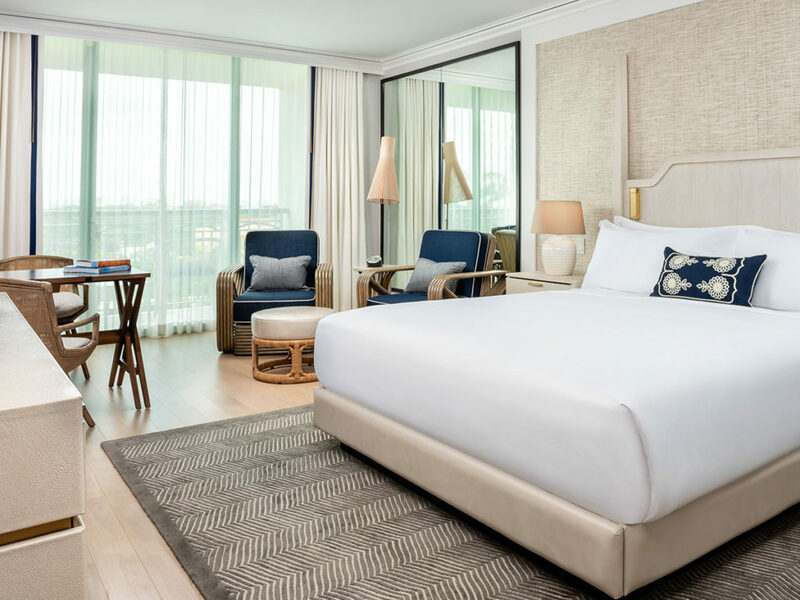 The 115 redesigned guestrooms feature new neutral-toned furniture, luxe white fabrics and beachy textures, including teak, canvas and jute. 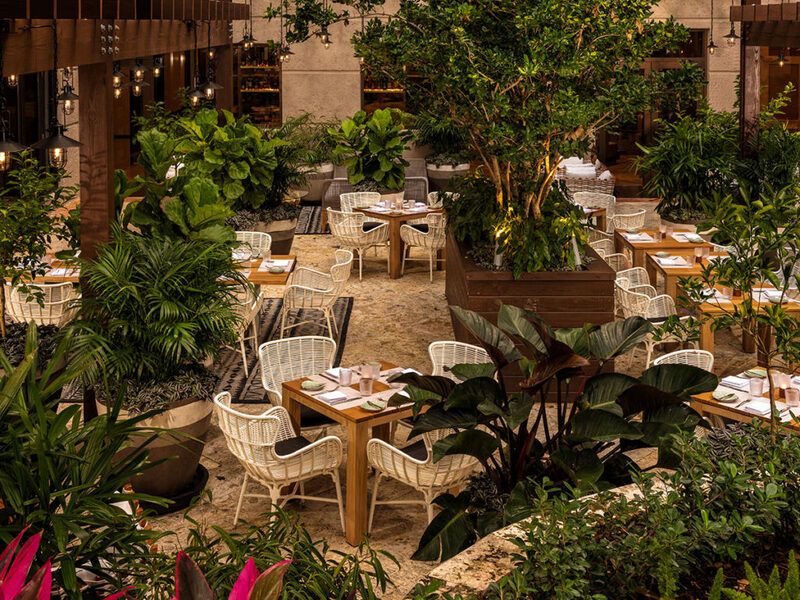 Gold accents and locally sourced art pieces tie in a bespoke bohemian vibe. 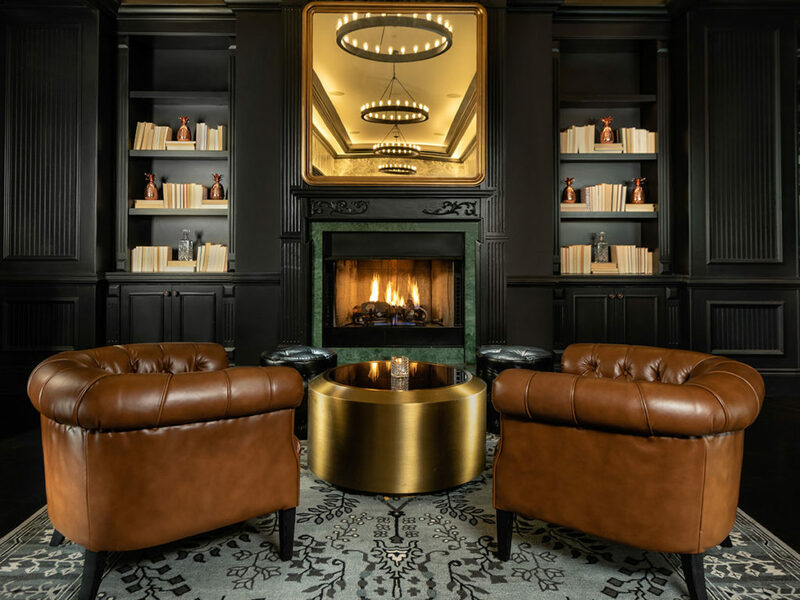 Meanwhile, the lobby offers a black and white backdrop with upscale features: leather-wrapped columns, pops of peacock hues, and dark green velvet furniture among them.